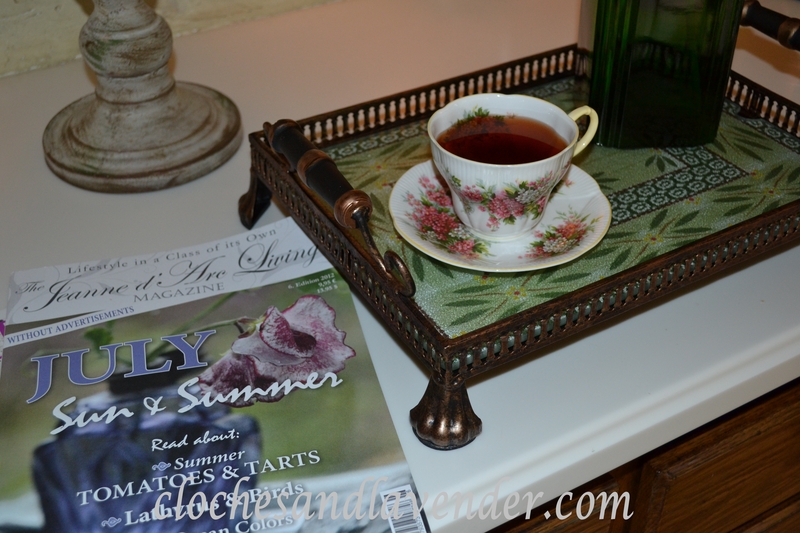 It was Tea Day today so I decided to settle in to have a nice cup of tea and finish reading two of my favorite magazines and just relax this morning. 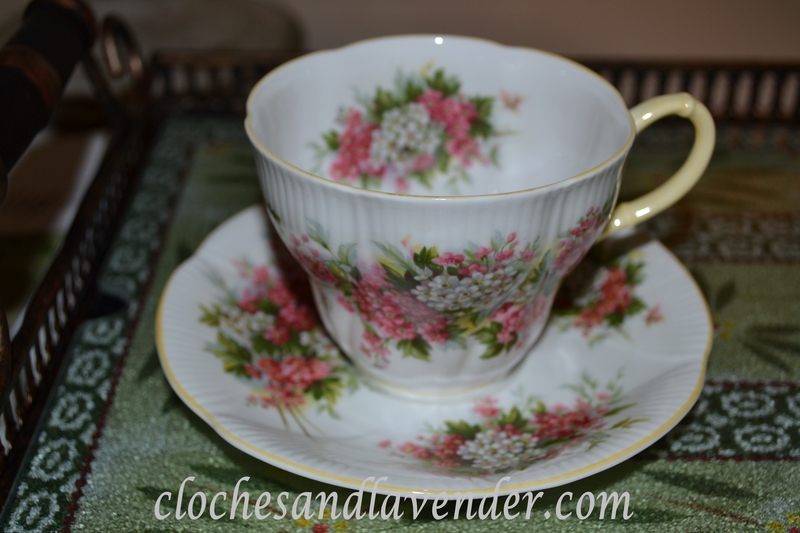 The tea cup I am using is one of my mother’s and I love the flower detail. I enjoy the fact that it is a formal cup without being too formal and of course that it was my Mom’s. I had liked this cup since I was a little girl. I hope everyone can take a little time now and then to relax, read good magazines or a good book and have some tea. It is so good for the soul. lovely. I love old cups and saucers – my favorite is one that my MIL had – turquoise with an open bowl – don’t use it very often as I’m afraid I’ll break it. My mother always said I was like a bull in a china shop and she was right. What a pretty teacup! I have never seen that particular pattern before and it really is lovely. I’m so glad you shared your little treasure with us today. Thank you for coming by to have tea with me and have a splendid week. What a wonderful teacup ! And your photos are gorgeous! 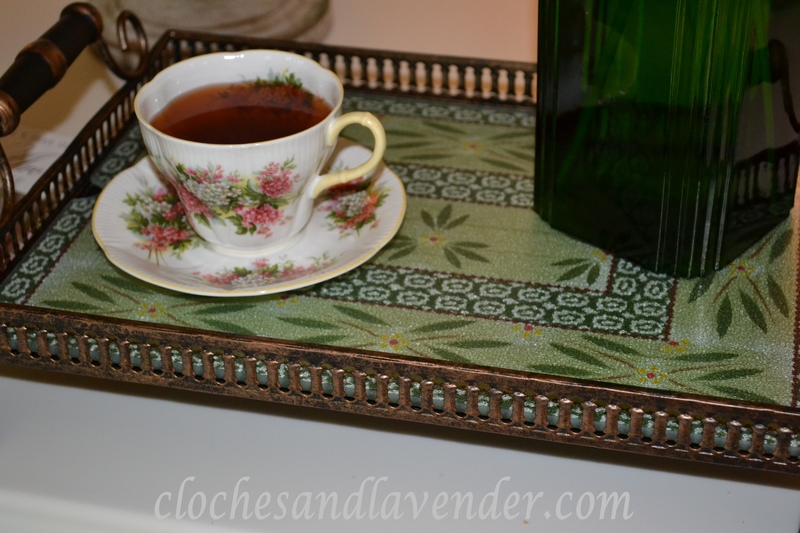 Thanks so much for sharing and linking to Tuesday Cuppa Tea! Cynthia, a beautiful and special tea cup for a beautiful and special day. I love that you have tea day — and your tea cups are so lovely! Really like this one that you’ve shared with us. 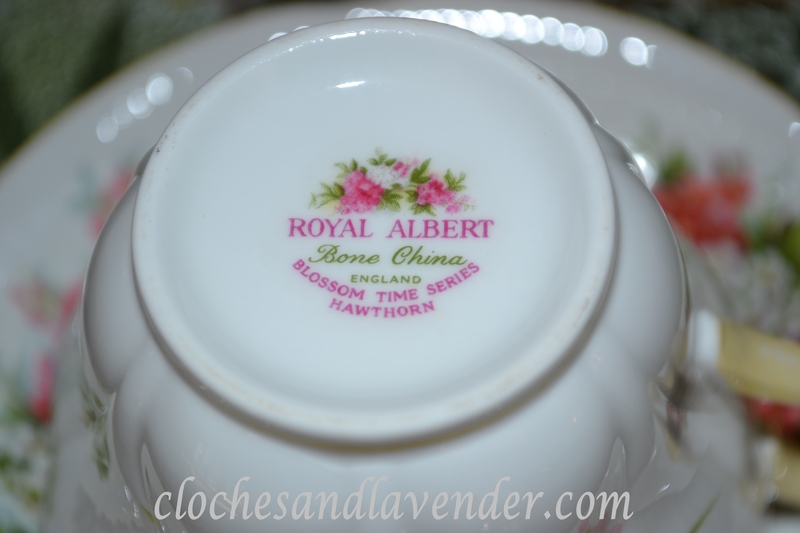 Your Royal Albert teacup is lovely. 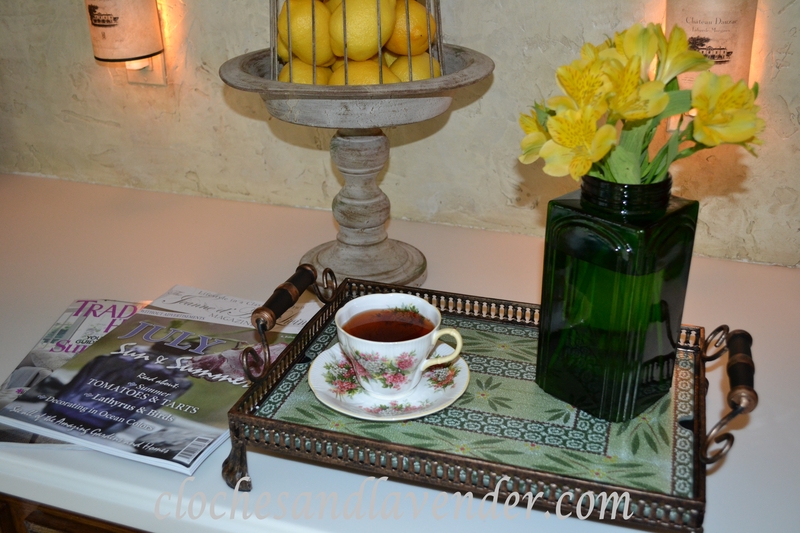 Nothing like a cup of tea, a good book or magazine — RELAX! Happy Tea Day! Perfect! 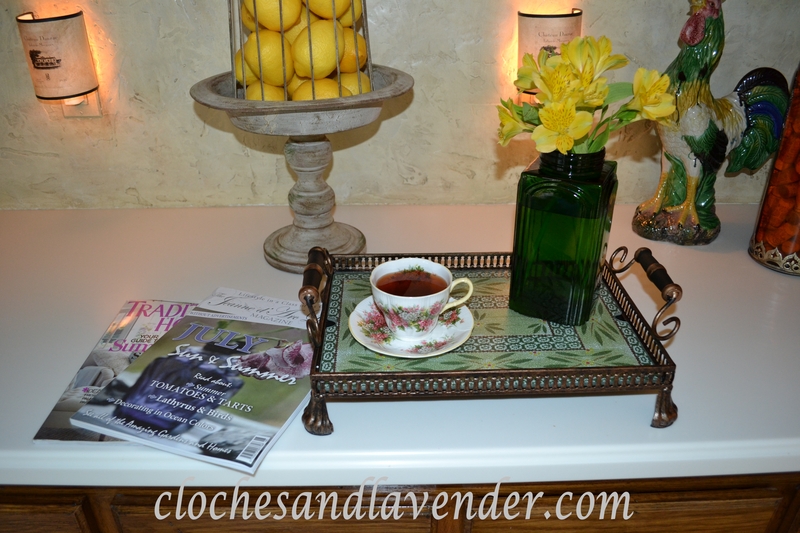 Tea and a good magazine are a lovely way to be still and relax! Yay! Your Hawthorn tea cup is very very pretty. I am just loving the coloring of those beautiful flowers! I even love the shape! Thank you very much. I love my tea cups I can;t wait for you to see even more. Such a lovely tea cup and all the more special that it was your Mom’s. I have a few that I inherited from my great-aunt, but am too afraid to use them. I tend to break anything that is delicate. 🙂 Have a wonderful day! Your aunt would probably want you to enjoy them. I am not real delicate either and I am just extra careful with these cups. Lovely post. Taking time out to enjoy life and the beauty around us is definitely good for the soul! Thanks for visiting the cottage. I would love to have you join me for my weekly linky party, Time Travel Thursday. The new link goes up on Wednesday nights. Thank you for your lovely comment and your invite for the party. Once I discovered your wonderful blog I put your party down on my calender. I would love for you to follow Cloches and Lavnder. Ther’s nothing better than tea in a pretty cup. Pretty teacup. I love Royal Alberts and have quite a few (can never have too many, right?). I have the same little green bottle and it is perfect for flowers. Glad to see you enjoying your teatime. I find it relaxing even if it is quick. Thanks so much for participating – lovely post and tea things! I am glad I found your page I follow you now I hope you will follow cloches and lavender.